Are you interested in a dynamic, fast-paced, growing company? Do you value positive attitudes, teamwork, and work ethic? Those questions possibly found in a job ad are taken to heart at The Ziegenfelder Company. That’s why this is a company committed to changing the lives of those chosen to work here. 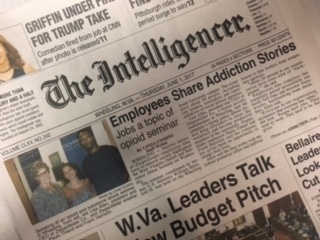 That message resonated loud and clear at the 2017 West Virginia Opioid Seminar held May 31. CEO Lisa Allen spoke to a crowd about ways the business community can help to solve West Virginia’s drug crisis. Lisa explained details about the company’s hiring policies to several news organizations in attendance at the Opioid Seminar. She said many people who have served time behind bars can reenter the workforce at The Ziegenfelder Company and achieve success. Paula Toland and Frank Harrison are two people who show that the policies in place at The Ziegenfelder Company can work. Both spoke at the Opioid Seminar and voiced a similiar message. They said The Ziegenfelder Company allowed them to get a job and change their lives. 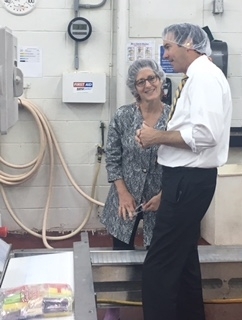 Another speaker at the Opioid Seminar, U. S. Congressman Evan Jenkins from West Virginia’s Third District, stopped by the Wheeling plant after the seminar. 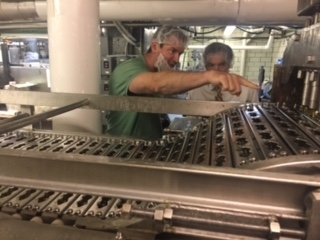 He wanted to see the operations firsthand and meet more employees who were given a second chance at The Ziegenfelder Company. There’s only one problem. Walk around the plant and it’s difficult to figure out which members of the Zieggy Tribe fall into the “second chance” category. Once you get hired, your past doesn’t matter. Focus stays on what you do right now to make a positive impact on yourself and those around you. Which takes us right back to those questions in the job ad…. Are you interested in a dynamic, fast-paced, growing company? Do you value positive attitudes, teamwork, and work ethic? Then, we want you here at The Ziegenfelder Company.